Next month, I'll be heading to Omaha, Nebraska for a tech conference. Yep, you heard correctly; they are having an interactive web conference in the heartland and I'll be covering it right here. After SxSW, I noticed the list of speakers for this year's Big Omaha was getting more interesting, so I had to reach out to Silicon Prairie News founder Jeff Slobotski. Where did you come up with the idea of having a web conference in the middle of Nebraska? 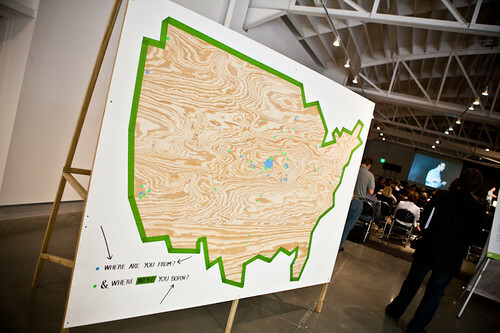 The idea for Big Omaha arose out of the work we were doing around Silicon Prairie News. I started the organization along with Dusty Davidson two years ago this July. Our goal has been to continually highlight and support local and regional entrepreneurs and innovators who are working on companies or ideas that you might typically associate with being located on the coasts. We wanted to build as well as connect the community that I knew was right here in our own backyard. Too often in the Midwest we're "siloed" – each of us working on unique ideas or companies, but doing it under the radar. For us to create a culture of innovation and entrepreneurship, we needed to build the infrastructure and support systems here like you see in Silicon Valley, Boulder, New York, Austin and elsewhere. In August of 2008, I had a crazy idea of organizing a unique event for entrepreneurs and innovators in the Midwest. The event wasn't created to compete with other industry events already taking place, rather to allow the startup and creative community within the Midwest to connect and engage with not only the speakers but with one another. 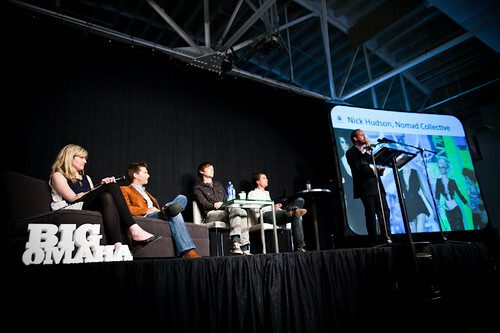 Big Omaha 2009 featured some of the nation's leading innovators, entrepreneurs and creative minds with the primary goal of challenging and motivating attendees to follow their passion and launch the new business or product they've been thinking of. Over 400 people from a dozen states attended, and we're expecting a larger crowd this year. Which speakers are you most excited about for 2010? I think each of the speakers bring with an amazing set of experiences and message. I'm excited to have the depth of topics ranging from Scott Harrison of charity: water and the way that he's utilized new media to raise awareness and funds to make a significant impact in developing nations in Africa. Couple that with the experience of Jason Fried of 37signals, Matt Mullenweg of Automattic, David Hauser of Grasshopper as well as several more, and it makes for an interesting lineup. In addition, we also work to engage some of the emerging startups as the lessons that they can share are vitally important to the entrepreneurial community here. Are there any speakers that you haven't announced yet that you are hoping to bring to Big Omaha this year? We just announced Matt Galligan of SimpleGeo (disclosure), Alexa Andrzejewski of Foodspotting and Dennis Crowley from Foursquare. Tell me about Silicon Prairie News. What are you guys all about? In January 2008, I began documenting my travel to other creative communities across the U.S. on my personal blog, Midwest to Manhattan, while I was working for a tech company based in NYC. After awhile, I found that instead of writing about entrepreneurs elsewhere that I received inspiration from, we had that same talent here in Nebraska and the surrounding region. 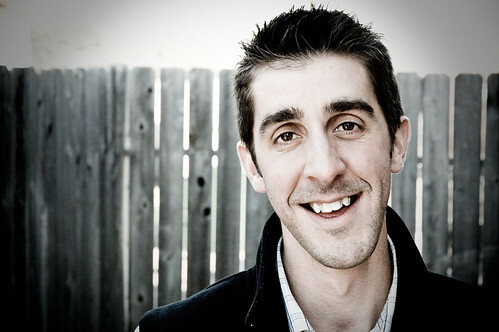 I teamed up with Dusty Davidson of BrightMix in July 2008 and officially launched SiliconPrairieNews.com. Our main goal is to highlight and support entrepreneurs and creatives in our own backyard. We brought on our Managing Editor, Danny Schreiber, in June 2009, and in September 2009 we expanded our primary coverage to include Des Moines, Iowa. On Silicon Prairie News you'll find interviews with entrepreneurs and creatives, reports on startups and established companies and event announcements. We also have feature posts, such as the Weekly Wrap Up and Startup Links, a job section, a regional blog directory and more. Additionally, we believe it's important to connect people offline and therefore we produce events from the periodic Creative Capital Pitch Session to the annual Big Omaha conference, all designed to bring together the region’s entrepreneurs and creatives to explore, meet and engage. Our team is also active in Omaha Tweetups, The Omaha Blog Co., BarCamp Omaha and Highlight Midwest. 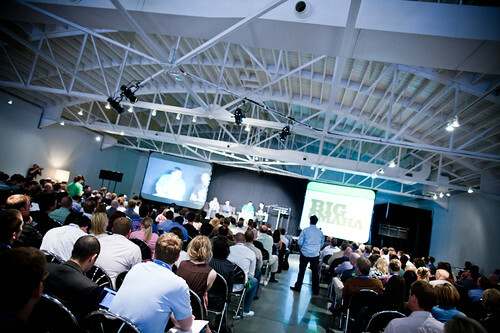 How will Big Omaha stand out from other conferences? What makes it special or unique? When the team and I started planning the first Big Omaha over a year and a half ago, we wanted to create a unique and memorable experience for attendees. It's about how you feel when you're there. We asked ourselves: Who and what do you interact with? Is the environment pleasing and fun? Is it remarkable and different than other experiences? Unique venue – Held at KANEKO, one of the most creative, interesting, and thought-provoking venues in the city. This isn't the your typical conference venue. Experiential elements – Art installations, interactive displays, and other things which promote interaction with the space and other attendees. Oh, and a DJ. 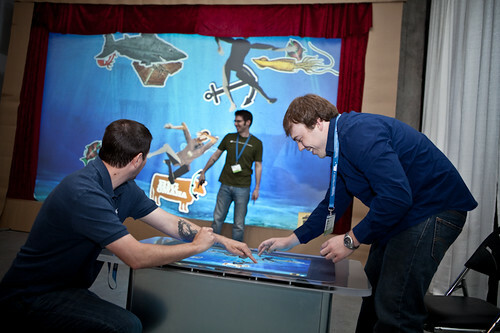 Interaction – A huge focus for the entire event is around getting people to interact. Parties, lunches, happy hours, breaks – all exist so that people can mingle, meet, and interact. Fun – When did you last have Fruit Rollups and Starbursts at a conference? Signs that read If you're reading this, you're at Big Omaha? Attention to detail – We go to painstaking lengths to ensure everyone has a great experience. Making sure the speakers, attendees, volunteers and sponsors feel important and that they are a vital part of the event. 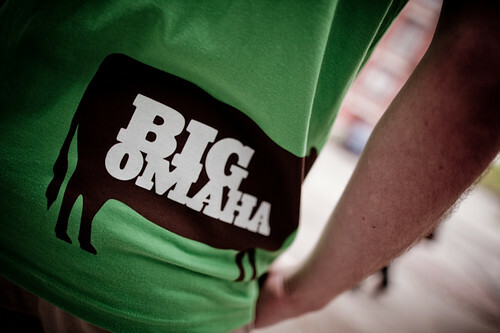 I'll be in Omaha from May 13-15 covering the Big Omaha conference. If you want me to cover anything in particular, please send me a note.